With recent closing of some brick and mortar giants, it is more important than ever to engage with the consumer at every step of the purchase life cycle. Prosurix NFC tags allow the manufacturer to guarantee product authenticity and give the consumer the assurance that what they are buying is legitimate. Prosurix NFC tags help authorities take counterfeit clothing and accessories off the streets. A raid a few years ago confiscated $21.6M in counterfeit superbowl merchandise. Manufacturers and retailers have very powerful marketing and promotion capabilities built into the Prosurix App and can change the message to their customers based on many factors including product, time, location, etc. Other features include a “mark as lost” feature at the unique product level and inventory control capabilities for the manufacturer, distributor, and retailer. Quality assurance and chain of custody are paramount in the pharmaceutical industry. Imagine having the ability to know where every pill is from a given lot. 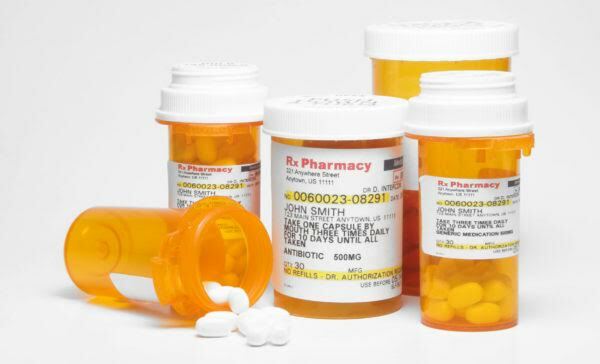 Imagine the ability to influence patient behavior with regard to taking and disposing of pills properly. The recent court decision requiring pharmaceutical manufacturers to fund drug take-back programs is another use case for the Prosurix app. Prosurix allows the manufacturer, pharmacy, physician, and patient to all benefit from end-to-end control and messaging. If a certain lot of pharaceuticals needs to be taken out of circulation, the Prosurix app could notify the patient immediately to return the pills to the pharmacist. Manufacturers can market additional products to a specific group of patients based on the prescriptions they have already. Physicians can check in on patients to make sure they are taking their meds on time. Inventory management / control are important challenges in the medical device industry. Knowing where a certain piece of equipment or procedure tray is vital to the success, speed, and ultimate efficiency of any medical procedure. Materials managers will love the ability to scan the Prosurix tag and get all relevant information about the products including, manufacture date, purchase order, expected lifespan, any additional maintenance information, and any recalls at a later date. Costs can be contained by setting par levels on re-orders so that there is never a rush or additional expense in getting necessary product into inventory. Clinicians can scan the Prosurix tag to get the latest information from the manufacturer on any new techniques, recent literature, or best practices leading to better patient outcomes. Controlling night deposits is an important part of banking and the Prosurix App makes it easier and gives your customers more peace of mind. Depositors scan the bag when the deposit is prepared and a scanner at the bank checks the bag in. These check-ins can be tracked on the Prosurix app in real time. If there are any issues with the count, the bank can alert the bag owner securely through the Prosurix App. Once the deposit is accepted and processed, an alert will be triggered to let the owner know that the bag has been deposited. Once all of the night deposit bags from all of the customer’s locations have been processed, the owner will get an additional alert that all deposits for the day have been recorded. Conversely, if a bag is not accepted by a certain time, business rule notifications can trigger another alert and report the last known chain of custody to make finding the bag as quick as possible. An additional layer of peace of mind gives banks that use Prosurix an advantage in the marketplace. Forgery and tax evasion are pressing issues in the cigarette industry. Attaching a Prosurix tag at the packaging location starts a chain of compliance and tracking that cannot be broken. Tax authorities can collect the proper tax on a tag-by-tag basis that can be scanned at the retail location for compliance checks. Consumers can scan individual packs to guarantee authenticity and relative safety of the product. Guaranteeing authenticity and managing the supply chain are the core foundation of the Prosurix app. In addition, Prosurix is the first app to use the barcode already printed on wine labels to help vintners deliver a marketing message at the retail location. The Prosurix marketing and authenticity engine that was built for NFC technology has been expanded to scan UPC codes and deliver relevant messages to consumers and actionable analytics to manufacturers. A scan of the UPC at a retailer can bring up a store-based promotion or a vintner sponsored video, or any digital asset that is relevant to the shopper’s experience.